Air University’s newest effort to revitalize squadron-level learning and support leaders on the cutting edge of operations rolls out across the Air Force today with the Flight Commander’s Edge program. 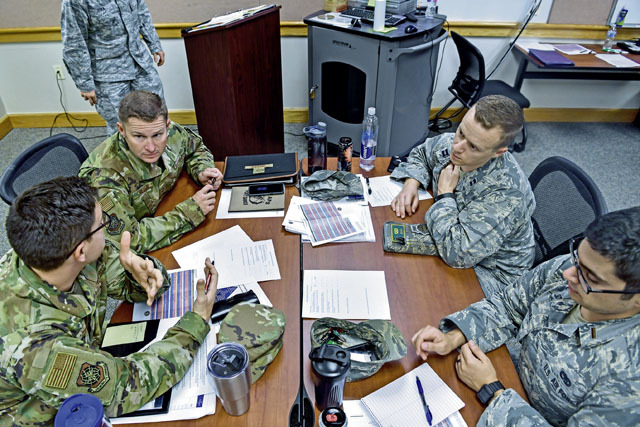 Managed by Air University’s eSchool of Graduate Professional Military Education, the Flight Commander’s Edge provides a variety of tools designed to help major command, numbered air force and wing leadership develop and deploy flight-level leadership courses. “Our biggest challenge was providing expert-level leadership training through an instructional cadre that we would never meet,” said Lt. Col. Rose Stoor, eSchool program manager, referring to the fact that most flight-level leadership courses are conducted at the wing or subordinate unit level. The eSchool’s solution was to provide discussion-based “experiential” lesson plans that could be customized and taught by anyone. Several iterations of the course have occurred to test out the various concepts and lesson plans, at both Maxwell Air Force Base and Joint Base Charleston.